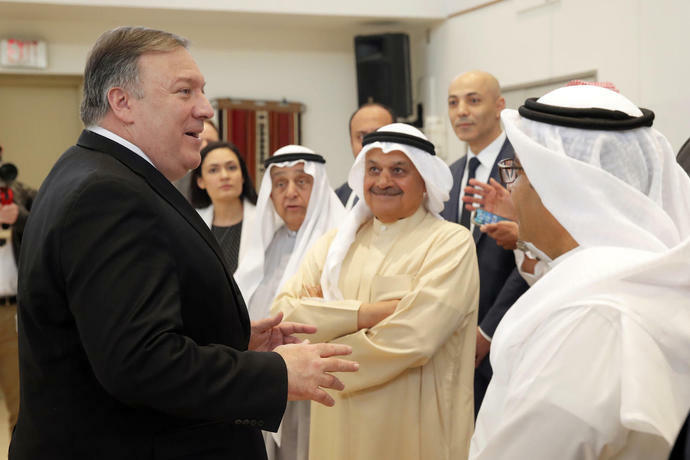 JERUSALEM (AP) - U.S. Secretary of State Mike Pompeo on Wednesday lauded the White House's warm ties with Israel during a visit to the country and promised to step up pressure on Iran, giving a public boost to Israel's prime minister at the height of a tight re-election campaign. The White House meanwhile announced that Israeli Prime Minister Benjamin Netanyahu would be welcomed in Washington over two days next week. Standing together, the two men made no mention of the heated Israeli election campaign. But Netanyahu, facing a tough challenge from a popular former military chief and reeling from a series of corruption allegations, has repeatedly sought to focus attention on his foreign policy record and strong ties with President Donald Trump. 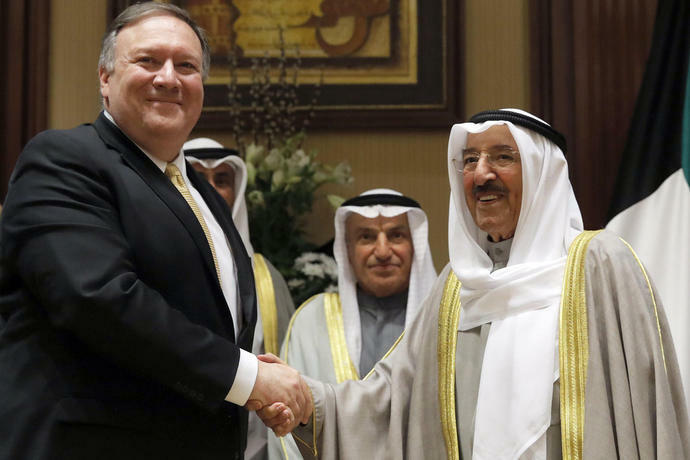 Pompeo touted last month's Mideast conference in Poland, where he said dozens of countries discussed ways "to stop Iran's regional rampage." Netanyahu considers Iran to be Israel's greatest threat. 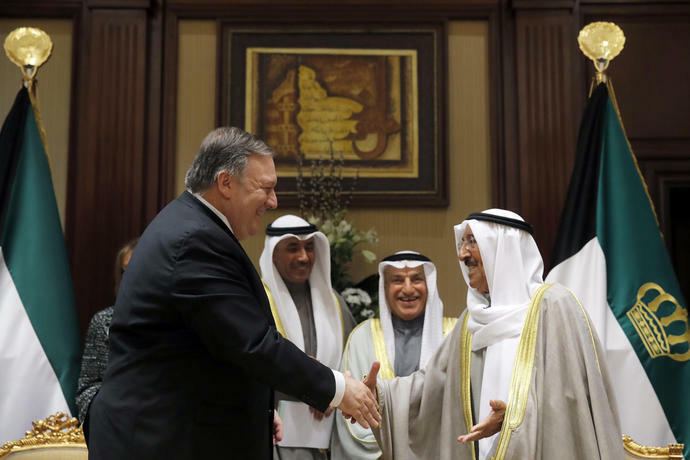 In recent years, Israel has carried out scores of airstrikes in Syria to halt what it says are Iranian arms transfers to the Hezbollah militant group, and to prevent Iran from establishing a permanent military presence in the neighboring country. Iranian and Hezbollah forces have been supporting Syrian President Bashar Assad's troops since the early days of the eight-year civil war. 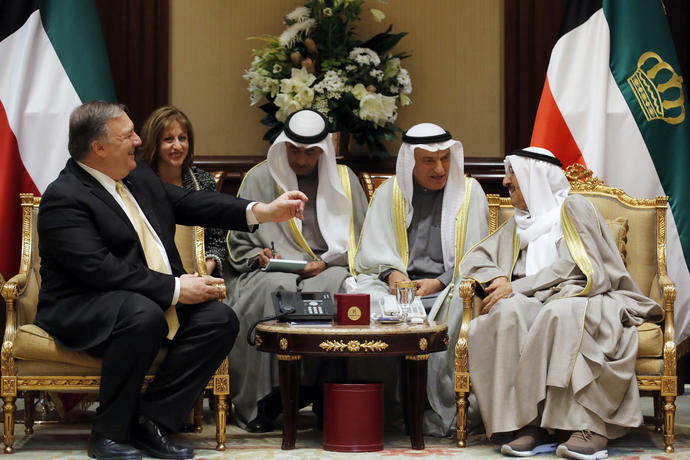 The step prompted the Palestinians to sever ties with the White House. 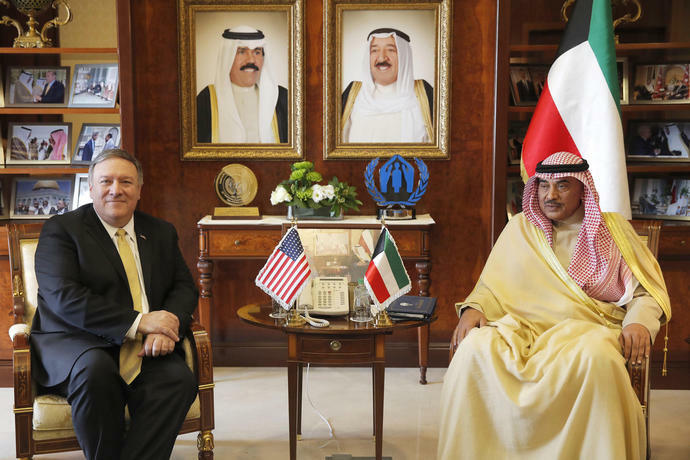 Trump also has cut hundreds of millions of dollars in aid to the Palestinians and shuttered the Palestinians' de facto embassy to Washington. 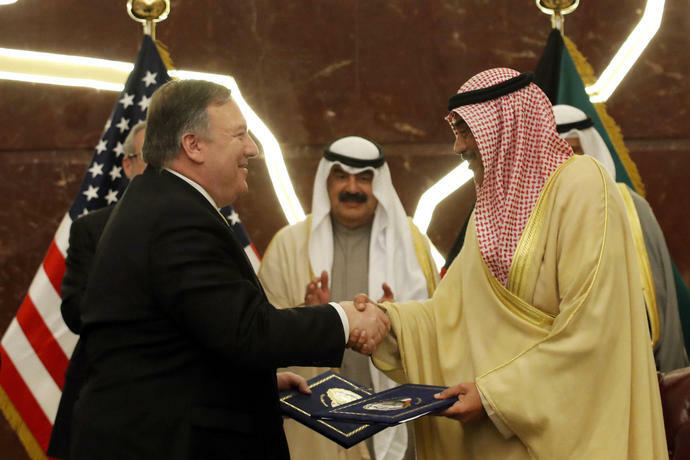 Pompeo said the dispute that has roiled the Gulf Cooperation Council for almost two years is hindering efforts to combat regional threats posed by Iran, the Islamic State group and other terrorist organizations. 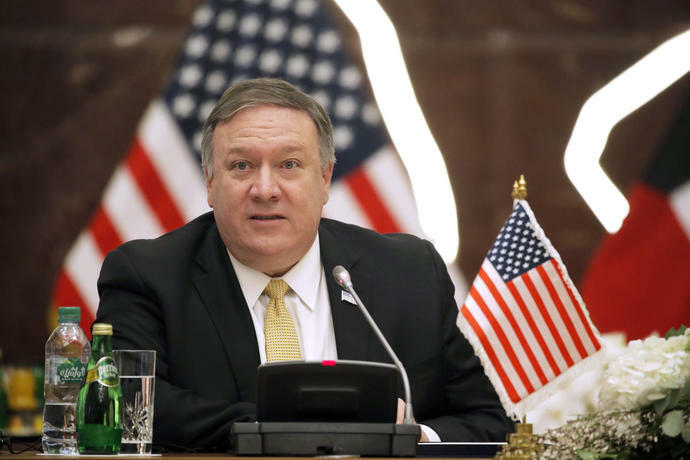 In Israel, Pompeo was attending a summit of Mediterranean natural gas producers. From Israel, he is to travel to Lebanon.